The midterm elections are over, and Americans are curious to see how the issues play out in the next two years. While there were disappointing results for conservative voters in House races, one thing is clear – we are going to stand strong for the values we believe in. And one issue seems to be on the minds of American youth, bringing much-needed hope for the future. Many Americans tend to worry that the liberal indoctrination of today’s youth is leading our culture away from the values our nation was founded on – and toward a dark future. Today’s youth are inundated with propaganda that negates the value of life and they see discrimination by the left against traditional Christian values on a daily basis. But even after all they hear and see in progressive entertainment and media, a surprising trend is on the rise. Today’s youth are increasingly fighting for the lives of the unborn. Days before this week’s elections, national pro-life group Students for Life released a video featuring the testimony of dozens of young people who are making an end to abortion their top priority. The students commented on the video and at polling places nationwide that they are going to stand for the unborn because, as one young woman noted, “Too many of our generation are disappearing” because of abortion, according to LifeSite News. In fact, during the primaries earlier this year, the Public Religion Research Institute released the results of a poll that show that nearly ten percent of young voters aged 18-29 have become “less supportive” about abortion over the last five years – from identifying as “pro-choice” to pro-life. And, even better, they found that 54 percent of Americans now say that abortion goes against their “personal beliefs” and that a majority of both men and women in the U.S. are against abortion being covered by health insurance plans. Students for Life is but one pro-life campus organization nationwide, but their impact is far-reaching. They have resources and community outreach programs available to students of all ages and are especially effective on high school and college campuses. Their website explains that 79 percent of Planned Parenthood clinics are located within five miles of a college or university, and that more than 50 percent of women seeking abortions are under age 25. Because “college and high school is a time when worldviews are challenged and formed, and our culture is shaped by the young,” their mission is to end abortion by influencing the next generations of voters and policy-makers. Following the election results this week, Students for Life President Kristan Hawkins sent a powerful message to Americans. …even though we have lost some support in Congress, the #Pro-Life Generation will work just has hard to restore protections to women and their children, born or preborn. One election doesn’t change the fact that all life deserves protection and that we love both women and their children. The #Pro-Life Generation stands ready to work for laws that protect innocent, pre-born infants and their mothers,” as reported by Live Action. She adds that pro-lifers look forward to the time when Roe v. Wade is a “footnote in history;” gone for good, but a reminder of a time when innocent life was seen as disposable – a lesson for the future. Students for Life’s “5 Pillars” include Effective Education, like participating in pro-life rallies and events and making presentations at schools and colleges; Industry Impact, by standing outside of abortion clinics with pro-life literature and words of support; Rapid Response; Supportive Services; and Public Policy, visiting Congressional offices to make the voices of pro-life youth heard where it counts the most. The rising number of pro-life youth gives hope to Americans who have seen the damage caused by progressive propaganda spreading like wildfire through our media and our schools. 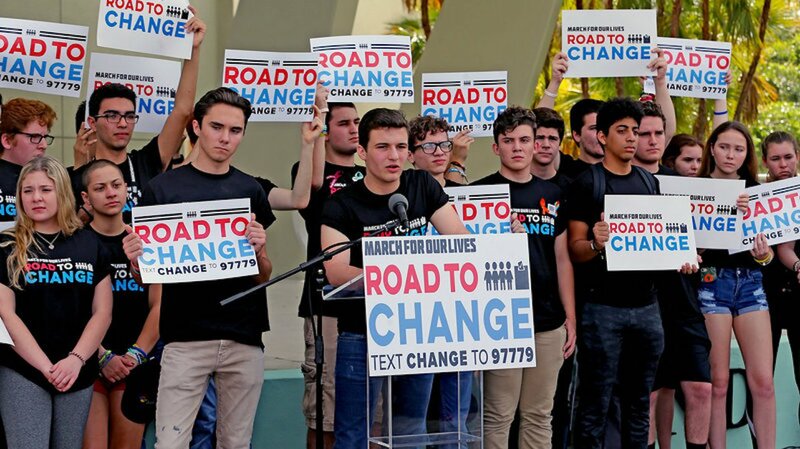 These youth, and their hard work as activists in advocating for the lives of the unborn to others their age, are the generation who can bring change – a future where Roe v. Wade is overturned and the fact of life beginning at conception is realized. We pray for the next generation of pro-lifers who carry the torch to save the unborn, and we look forward to a future where every child’s life is legally protected. What do you think about the increasing number of pro-life youth in America today? Leave us your thoughts.